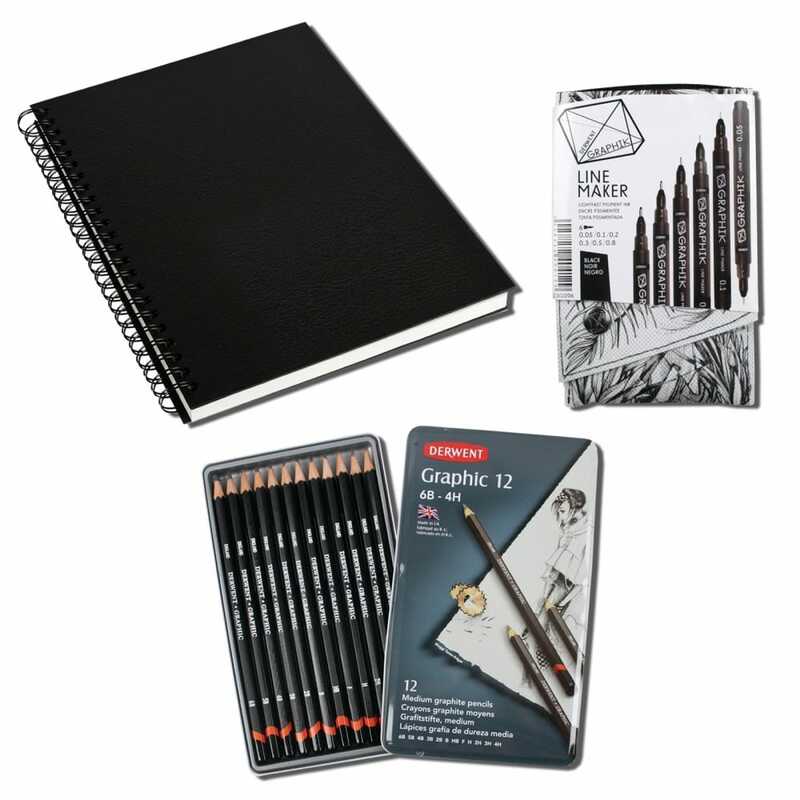 This sketching and drawing school set has 3 high quality components at a fraction of the price of buying them separately. The 12" x 9" hardback spiral pad features 80 sheets of white 110gsm paper which is heavy enough to take work with pens, and has just the right "tooth" for sketching. The Derwent Graphic Pencil tin features 12 pencils grades from 6B to 4H so all bases for sketching are covered from soft feathered edges to hard tight lines - and being Derwent they are the worlds leading pencil company so know how to make a good pencil! To finish the set off you get a 6 pack of Graphic Line Maker pens from Derwent as well. Featuring Japanese nibs for the ultimate precision in sizes 0.05, 0.1, 0.2, 0.3, 0.5 and 0.8 you will have your final sketching work covered. They all have black pigment ink which is both light fast and permanent when dry.